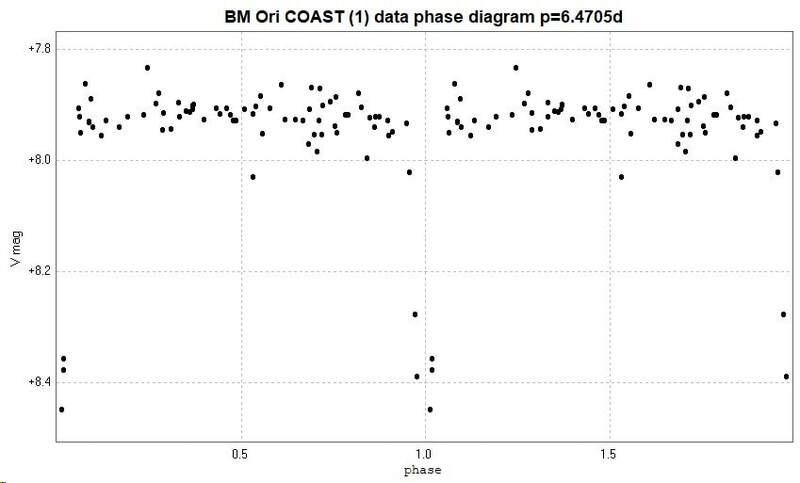 Light curve and phase diagram of the EA type eclipsing binary BM Orionis / BM Ori, constructed from photometry of 76 images taken with the Open University COAST telescope (a 14 inch / 35 cm Schmidt-Cassegrain) through a V filter. Images taken between 2017 September 7 and 2018 March 10. The catalogue periods for this star are 6.470525d (GCVS), 6.4705315d (AAVSO VSX) and 6.470531d (Kreiner). There is little o-c activity apparent for this star (Kreiner). This star is a member of the Trapezium in the Orion Nebula, and it was uncertain whether the scale of the COAST images would allow photometry of this system. 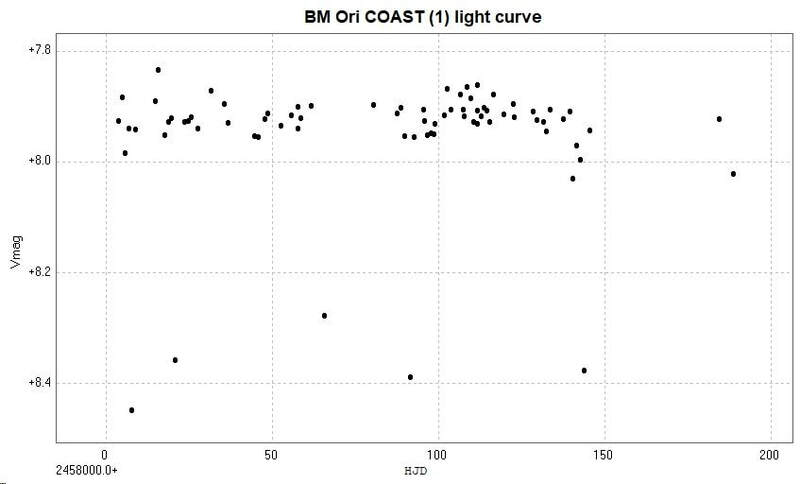 However, serious under-sampling to reduce contamination from the neighbouring stars did allow for the above noisy light curve and phase diagram to be generated.